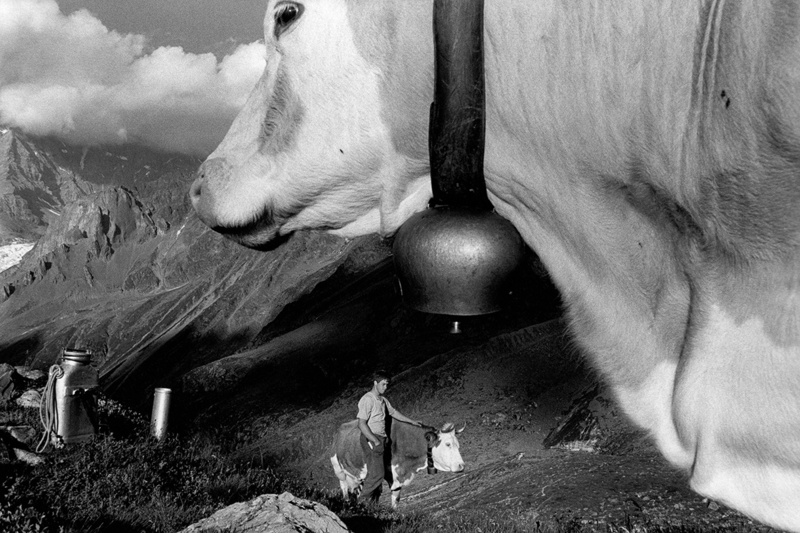 I am invited to give a lecture about my work on Swiss Alpine Farmers on Wednesday the 12th of December 2018 at the Teatro Verdi in Milan during the Festival letterario “Leggere le Montagne”. With their flowery beards, traditional costumes and archaic tools, they are the guardians of the mountain, confronted daily to its threats and dangers – erosion, landslides and avalanches. Stuck between tradition and modernity, high subventions and imposed prices – hardly covering their living costs, prices which are ostensibly too high against international compétition – will these slave laborers of the land be able to maintain their ancestral tasks, or are they merely destined to protect the mountains and abandon their productivity – become gardeners in their own right ? Are we witnessing the last generation of mountain farmers before the final exodus towards urbanism or towards other lands in other countries presenting more opportunities. You can buy the book on www.didierruef.com. This entry was posted in Book, News, Photography and tagged agriculture, alps, Alps mountains peasants, animal, documentary photography, ecology, Europe, farmer, farming, husbandry, lecture, Leggere le Montagne, Milan, Milano, mountain, peasants, photography, sustainability, swiss alpine farmers, Switzerland, teatro verdi.